A girl is trapped inside white netting. Across her skin – from eye to toe – is an abstract geometric pattern inked in henna. She has long, long eyebrows and dark green skin. 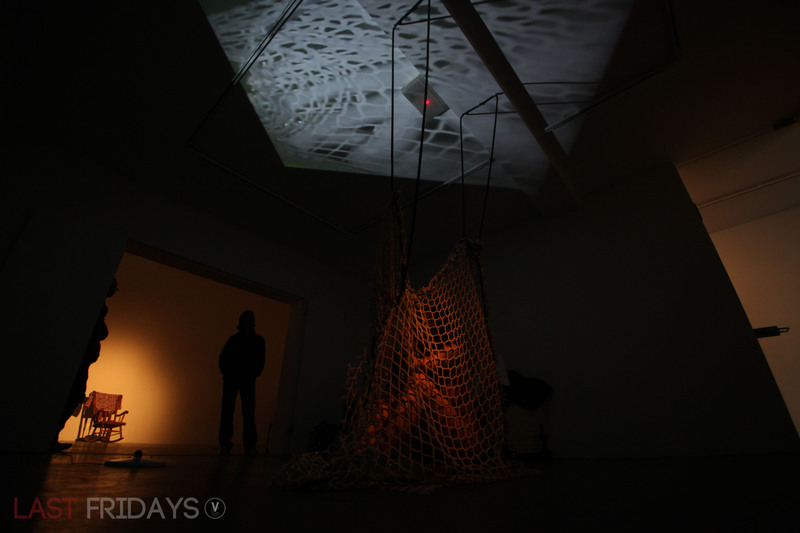 Her net is suspended from the ceiling and hangs near the ground, like an animal caught in a woodland trap. She has jars and jars full of crickets. They sing and dance around her. All the while, the girl sings wordlessly, veering low and high in response to the ebb of the world outside the trap, creating an endless repeating song. A CCTV camera is trained on the whole scene, and projects a second image of the girl onto ceiling above her. 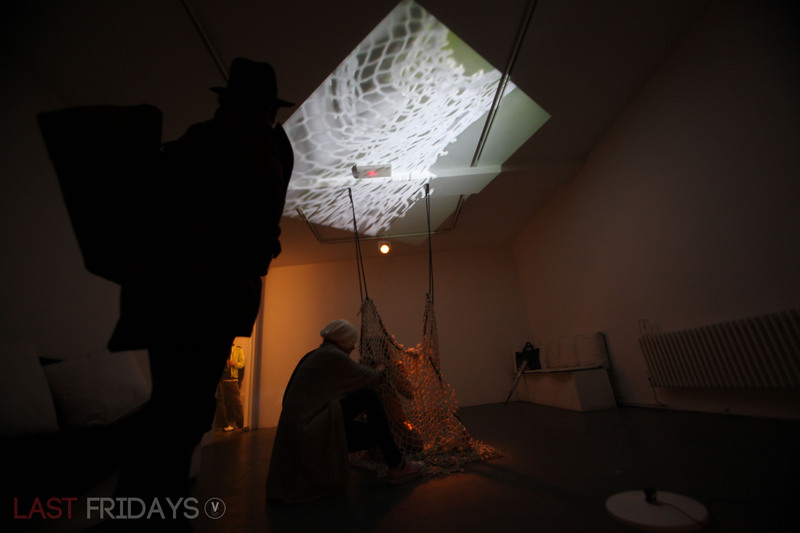 First Performance: Friday 24th May 2013 – Last Fridays at Visual Collective, Vyner Street, London. Visual Collective, 10 Vyner Street, London. 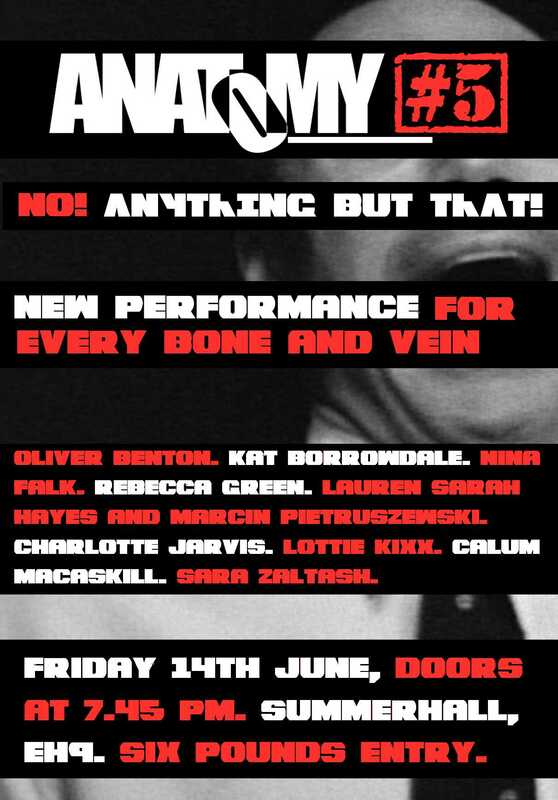 Second Performance: Friday 14th June – Anatomy 5 at Summerhall, Edinburgh.